Checking the weather can be just another default task to do in the morning. Is it a boot or sandal day? Raincoat or no coat day? Slacks or jorts? 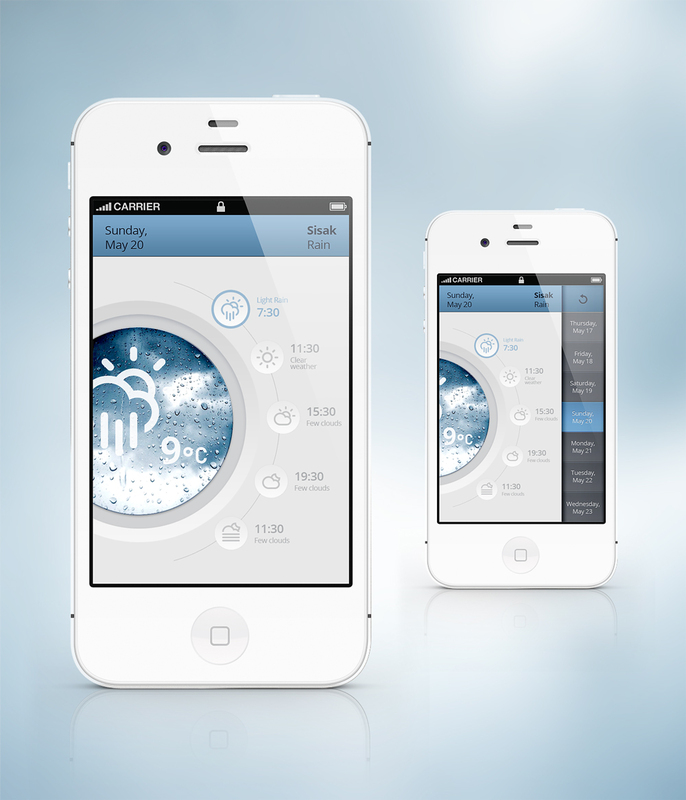 But as these designs show, a weather app can go far beyond simply showing the temperature. Looking for some inspiration to bring the weather to life? 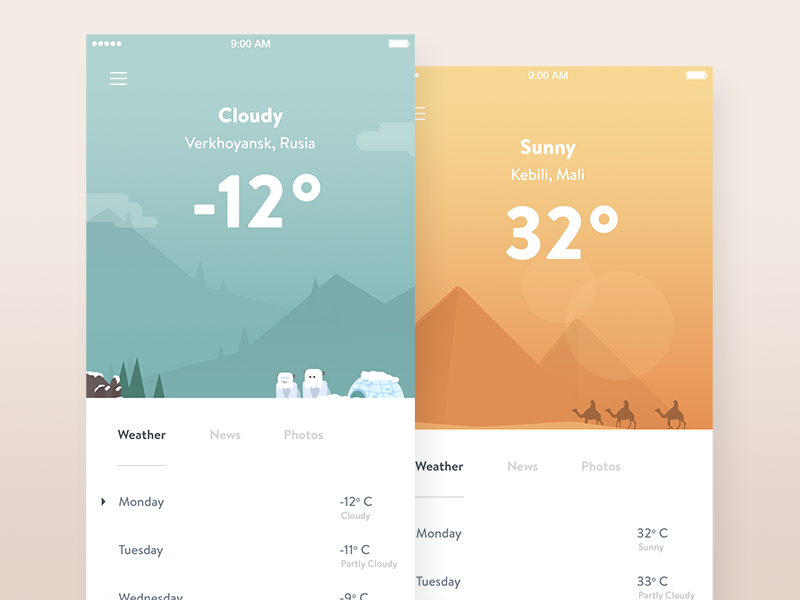 Here are our favorite weather app designs, found on Dribbble. By Alexander Cafa. 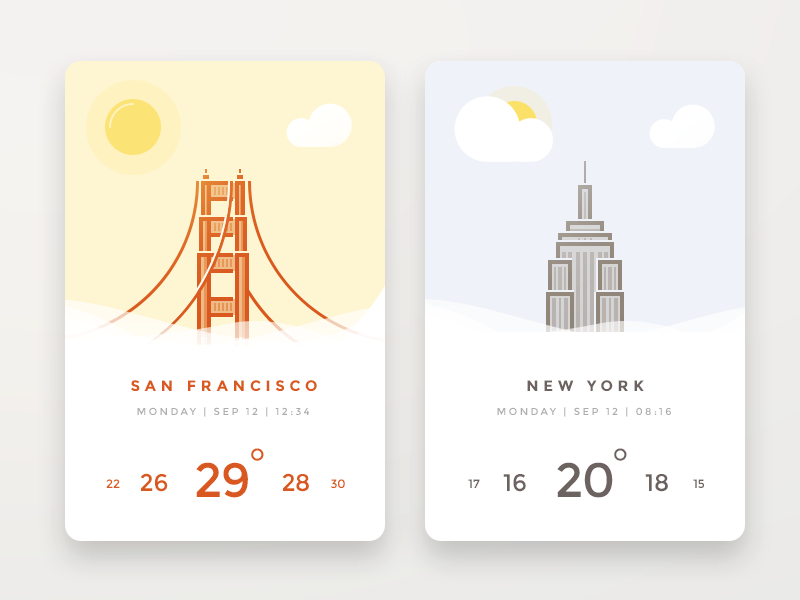 Illustrations of major landmarks and a light, airy color scheme add personality to this weather interface. By Hannah Lucas. We’re digging how much screen real estate the city images get here. By Ghani Pradita. 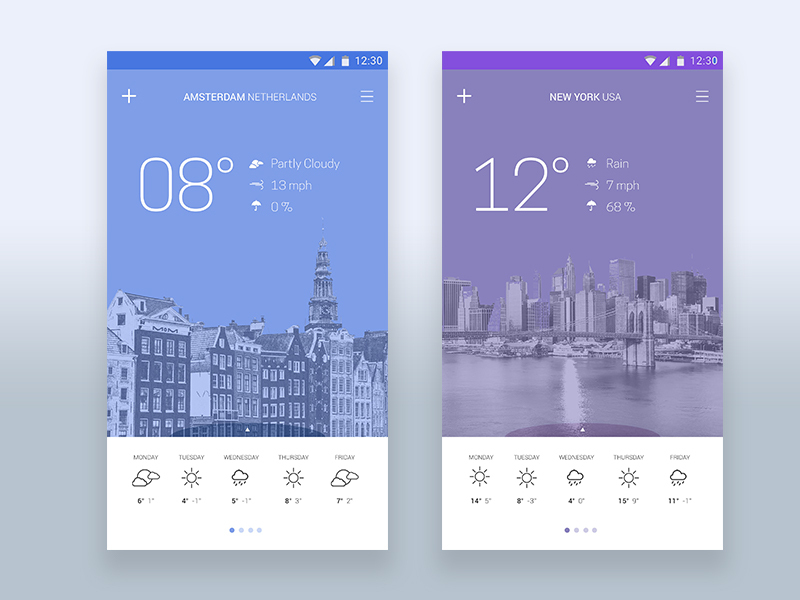 A simple interface highlights the temperature on a backdrop of natural landscapes specific to your location. By Marina Matijaca. Is there anything more beautiful than the sun illuminating a mountain’s silhouette? By Javi Perez. 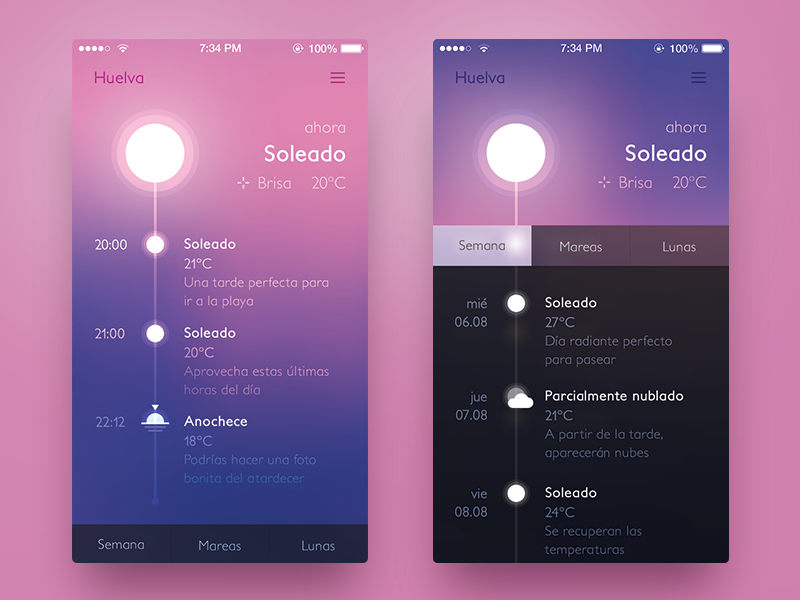 Taking inspiration from the colors of sunrise and sunset, this weather interface has a unique, glowing effect. By KREATIVA Studio. Who knew a washing machine could tell you the weather? By siddhita upare. 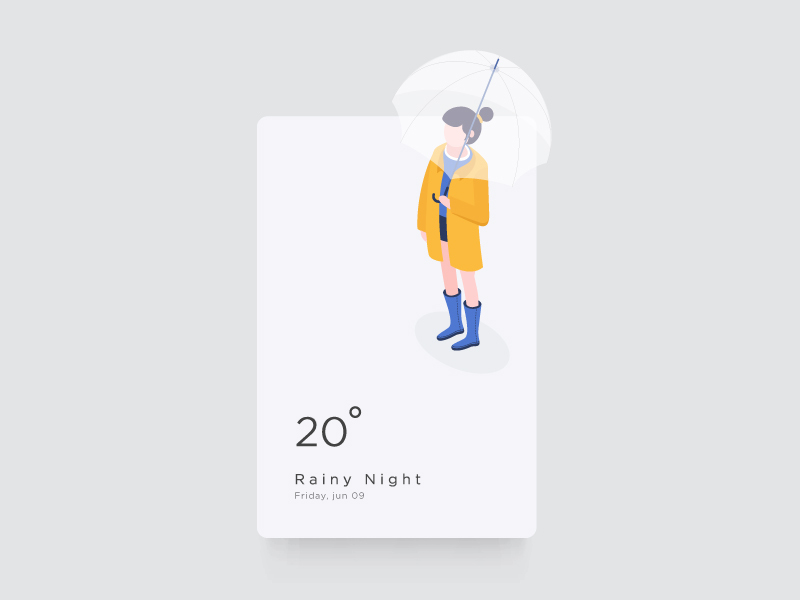 A clean design, adorable illustration, and grey color palette all convey the feeling of a rainy night. 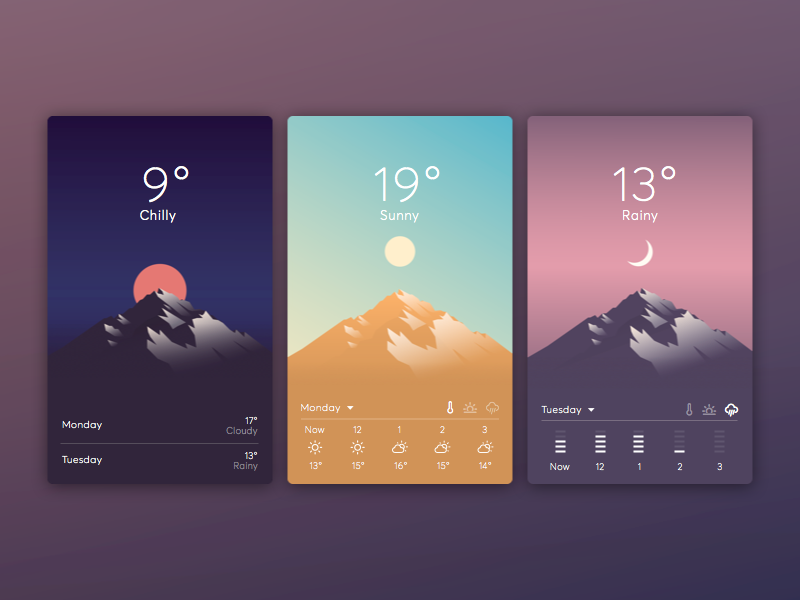 Did we miss your favorite weather app design? Share it with us on Twitter: @InVisionApp.